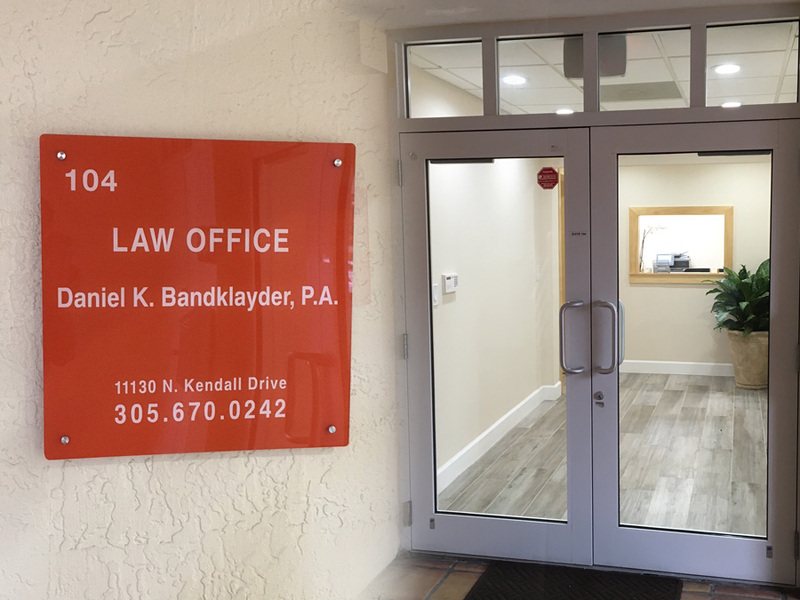 About Us | Attorneys at Law | Miami | Daniel K. Bandklayder, P.A. 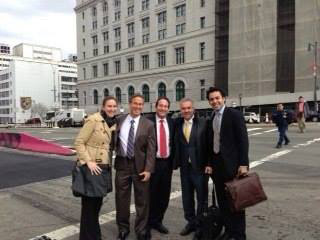 Daniel K. Bandklayder, P.A.’s trial team outside the United States District Court for the Eastern District of New York in Brooklyn, New York, after obtaining a $13 million award in April 2013. Daniel K. Bandklayder, P.A. was founded in 2010 as the culmination of Dan’s successful career as a partner at several large “downtown” law firms, going back to 1979. The firm focuses on complex business, accident, and injury cases, on behalf of both claimants and defendants. The results that we have obtained for our clients—$35 million in verdicts and settlements over the past ten years—are a testament to our ability to investigate, analyze, and prepare complex claims (and defenses) and to successfully present our clients’ cases in courtrooms throughout Florida and, occasionally, other states. Most of our clients have been with us for many years. While we take great pride in the “big” cases we’ve won, we remain grateful for the privilege of helping our clients—businesses, families, individuals, and, sometimes, even animal rescues—with their day-to-day legal matters and questions. That’s why people refer to us as both “attorneys” and “counselors” at law. In the end, we are problem solvers and we always welcome the opportunity to help our existing and future clients with their legal problems, whether they are large or small. A confidential six-figure settlement from Bellsouth and Miami-Dade County in favor of an injured motorcyclist who lost control due to a roadway defect caused by Bellsouth’s improper installation and maintenance of a fiber-optic cable trench.